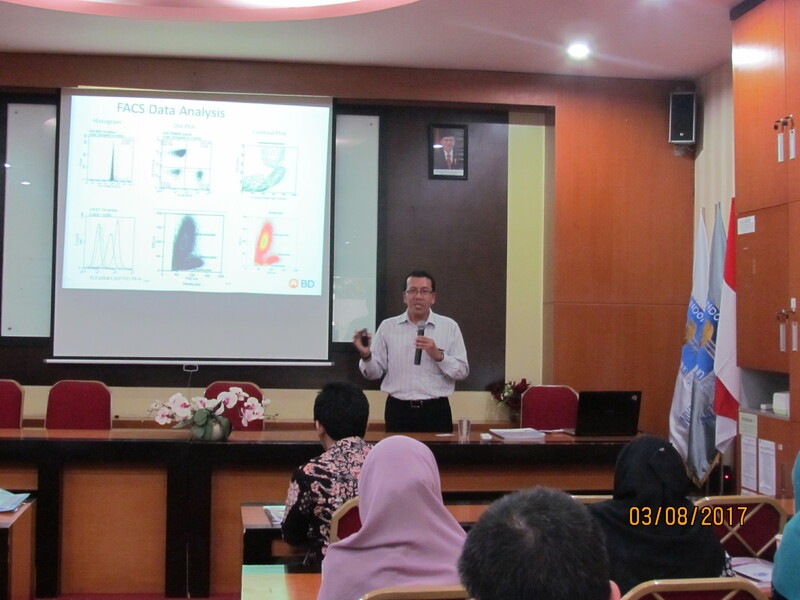 Yogyakarta, Faculty of Medicine UII – Flow cytometry is a technique used to analyze the types of cell types found in a population of cells. The use of Flow cytometry has been growing rapidly over the last 30 years, starting from a routine laboratory techniques are tools used by a pathologist and immunologist to diagnose and monitor patients with cancer to disorders or diseases of deficiency of the immune system (the body’s durability decrease disease). Now Flow cytometry becomes one of the essential tools in the developments of both medical and research. To deepen the knowledge of the lecturers and students of the application Flow cytometry , Faculty of medicine UII held a Mini Symposium BD “Flow cytometry Application in clinical and research”. The event was held on Thursday 10 Dzulka’idah 1438 H/03 August 2017 at 1.00 pm in the Auditorium of FK UII. The event was more exciting because Muhammad Hasan, S.Si., as Senior applications specialist BD Indonesia became the guest speaker in this event. Together with Bectun Dickinson (BD) Indonesia, expected this event can increase the ability of the participants before the workshop Flow cytometry in the medical world. Besides being very useful for research, this tool also has many other functions. For example being able to detect the beginning of a new cell appears when the body is undesirable and dangerous like a cancer.